Shimano designed their Talica line of offshore conventional reels with cranking power in mind. Many lever drag reels (especially two speed models) add drag components to the spool. This reinforces the drag and helps with low speed crank, but it takes away any decent casting distance ability. Not so with the Shimano Talica! 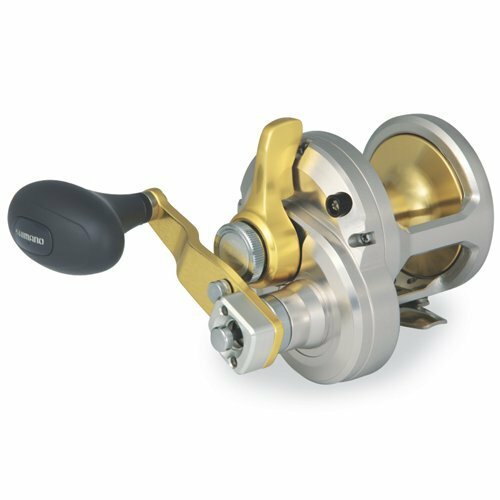 Product: Shimano Talica Single & Two Speed Conventional Lever Drag Reels. Reels that integrate spool drag also sacrifice high gear ratio performance. This works out to a reel that has great low gear crank, but doesn’t cover much ground. Talica design removes the spool drag allowing for a high gear ratio. It gives tough cranking power and covers more than just a couple inches with each turn of the handle. Talica reels offer angler many other features besides cranking power. Shimano places the Talica proudly within their newly coined “Metal Series” of reels. They also use HEG gearing and plating which increases the gear strength dramatically. 6 anti rust bearings and a cold forged spool round out the features of a highly functioning reel. All Talica reels come built with a lever drag though models split between 2 speed and single speed versions. Two speed Talicas can be identified by a dash then 2 at the end of the model number while one speed reels leave off that ending. Shimano manufactures at total of 11 Talica models with single and two speed versions available in all but the larger 20, 25, and 50 model reels (which only come 2 speed). I normally like to split this section up when covering both single and two speed reels like I did with the Accurate Boss Fury. It helps to discuss the models separately because of the variation in reel specifications. However, the only differences in reel specs between Talica one and two speed models is weight and rate of line retrieve. That being the case, I won’t divide the sections this time. As for weight difference, 2 speed reels have more parts and pull harder towards the center of the earth. Weight variations between single and two speed models aren’t much though. Two speed models only weigh 2-3 ounces more than their single speed counterparts. The smallest Talica TAC8 holds monofilament line as light as 15 pounds at 280 yards. That translates to 395 yards of 40 pound braid. The largest single speed TAC16 holds up to 300 yards of 30 pound mono or 430 yards of 80 pound braid. The very largest two speed TAC50-2 wraps an impressive 250 yards of 100 pound mono or 825 yards of 150 pound braid. Can you say 400 + pound Marlin? Talica reels provide powerful drag systems that range from 20 pounds max in the TAC8, 40 pounds max in the largest single speed TAC16, and on up to 60 pounds in the largest TAC50-2 model. Strike setting drag ranges from 13 to 53 pounds and gear ratios go from 6.2:1 (TAC8) down to 3.8:1 (TAC50-2). Finally, Talica reels weigh between 15.9 and 56 ounces. Like every other major reel manufacturer, Shimano has their own technology. Talica reels receive the best of what Shimano has to offer. Let’s take a look. A powerful system that uses larger drive and pinion gears. The HEG system makes use of the frame, set plate, and side plate to support the gears on either end. The combined metal frame support and enlarged gears eliminates flex under pressure which can cause other reels to bind. This feature pertains to the aircraft grade aluminum used in the frame as well as the frame design. It offers absolutely zero flex under the most extreme pressure which keeps inner gears in precise placement. Shimano Talica reels employ 6 shielded anti rust bearings. Interestingly enough, Shimano decided not to use an anti reverse roller bearing in Talica models. They do have double dog ratchet style anti reverse systems. The process of cold forging results in a spool much harder and durable than regular die forged ones. The technique gives the spool longer life and better performance over time. Shimano adds the Talica to their Metal Series collection of reels. The hype here includes the smooth anodized metal finish of every metal reel and proclaims the superiority of keeping inner components in precise position. Moving away from Talica main features still leaves a lot to mention. Start with removable harness lugs which make it easy to strap in or out against cow tuna. All models come with E.I. anti corrosive surface treatment and a waterproof drag. Talicas have a power grip handle, aluminum rod clamp, a clicker, and are built for braided line with a fluorocarbon leader. Without a doubt, Talica reels shout about castability in a two speed reel. Shimano also built the Talica to retrieve more line per crank than typical two speed designs, even when in low gear. Shimano intentionally designed the Talica for extended casting range, knowing it was a missing link in the chain of all available offshore reels. Now I’ve read complaints that higher line retrieve per crank sacrifices the whole purpose of having a two speed reel, and I have to disagree to a point. First of all, cranking power means that you don’t spin the handle super fast while the spool barely turns. Think of it like riding a ten speed bike up a hill. Dropping down to the lowest gear lets you turn the pedals real fast and easy, but you won’t be getting to the top of the hill very fast. A cyclist looks for that compromise of speed and ease of pedaling which is in essence what the Talica does. As long as the reel model matches the size of the fish it will be fighting. Now comes the flip side of the whole cranking power and line retrieval rate argument. The Talica design presents anglers with a problem when they get outclassed by a larger fish which we all know can happen. Our hill just got incredibly steeper and we don’t have the ten speed bicycle’s lowest gear to switch to. It’s important for anglers to understand this distinction when considering Talica reels. Typical 2 speed reels can handle being outclassed to some extent because they’re made for the steep hills (whether it’s steep or not). These reels will not cast anywhere near as well as the Talica or bring a fish up as efficiently under the right conditions. Which Offshore Anglers Most Appreciate The Shimano Talica? By all means, those of you who love throwing surface iron should take an immediate interest in the Shimano Talica. You’ll get overrun by a larger fish with a star drag reel just as easily with no lower gear to depend on. The Okuma Makaira might be a better option in 2 speed for fishermen not interested in offshore casting. Once you purchase a Talica, go immediately over to the Shimano website and register your reel. This activates a two year warranty and even goes a ways further. 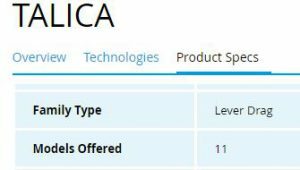 After registration, Shimano Talica reels become automatically enrolled in an upgraded service plan. The plan gives registration points which can be traded in for coupons. Use them for cleaning agents or lube at half to 100% off. Furthermore, should any need for maintenance arise you can go to the plan for priority shipping labels. These labels guarantee 48 hour turnaround to or from Shimano including all authorized repair locations. The intentional casting design of Talica reels makes my closing thoughts clear and focused. The way I see the Shimano Talica comes down to one simple question. Do you want a two speed reel that can also cast? The single speed models shine through as capable baitcasters and this question doesn’t apply. Exactly how well do Talica reels cast? With a spool free from gearing and supported by bearings, I haven’t heard one complaint. Hi Geoff, great info thanks. I just purchased a Tallus TLC80MHBBL. I have an Avet MXL raptor, and a new Torium 20 HG. Are these reels too light for this rod? I’ve got them spooled with 65lb. braid, And would like to be able to fish Bluefin with a 60lb. leader for bait, popper, or flat falls. Is this possible or do you recommend a Talica (25)? So you purchased the Tallus 8′ medium heavy baitcasting rod. That’s a nice rod for tuna and similar species. It’s rated for 40-80 braid so what you have on your reels is fine. Now let’s check those reels. First is the Avet MXL Raptor. Avet rates these for 620 yards of 50 pound braid. Are you too heavy with 65? You’ll lose some of that 620 yards but the reel should hold up fine with that extra drag capacity. 21 pounds of drag at strike and 31 full will do the trick on most fish. Yea, you can still get outclassed, but it would be rare off Southern California. That 2 speed really helps. I thinks it’s fine for the Tallus you bought. I do think the Talica 16 two speed with 40 pounds of max drag is a better choice, but perhaps only marginally so. The Avet does have a faster high gear ratio. Then there’s the Torium 20 HG. You have the right line, but that’s a high speed 1 gear reel. That thing would be perfect with a jig stick. Use it to throw surface iron when the fish boil on top. Yellow tail and tuna no problem, but big tuna…you can pull it but your chances would be much better with the Avet or Talica on the Tallus. I highly recommend looking at Phenix, Calstar, or Seeker Jig Sticks for this reel. Let me know if you have any other questions and thanks again for the feedback. Hope this helps. Geoff. Thanks Geoff! Great info. I have two MXL raptors, one with 65 lb. braid and one with 50 lb. So I’ve got some choices. I will look into the talica 16 for the Tallus. What length and line weight jig stick would you recommend for the Torium 20? Hey no problem Arthur. You could go up to the Talica 20, but the 16 is pretty big. Up to you. To match the Torium, here’s what I would look at. I linked each choice so you can check what I suggest. These are not my affiliate links. I like Phenix best for price and quality. Check the Black Diamond Deck Hand Rods. I prefer 8′ to 9′. Many jig casters use 10′, but that’s super long and takes time to master. They also often cost more to ship and are easier to break. Lol. Another choice with Phenix are their Axis rods. Check the HAX-909-HJ. I also like Super Seeker rods. There’s several jig sticks to choose from in this line. Finally, take a look at the CalStar graphiter rods. Again I’m directing you to the Deckhand models and there’s several choices in length and power. I find it best to use Deckhand style rods with the turks head knot at the top of the grip. They leave out the reel seat which means you can place the reel where you want it. Hope this helps. Anything else, let me know. Good luck and tight lines out there. Geoff. 1-Piece lightweight 66 rod. TC4 Construction. Saltwater rod. Fuji aluminum oxide guide. EVA Handle grips. Extra heavy power. Fast action. PowerPro line: 65-200lbs. Tip+8 Guides. I don’t mind spending $$$ for a good match for the reel. Hey Alex. Choosing the right rod is one of the toughest things. It really takes time on the water to figure out how you like them to feel when you fish. That being said, it also depends to a good extent what size tuna you’re after. For most purposes in the SoCal and outlying areas, that model Tallus is a bit heavy. I’d go heavy or med heavy. The length is fine. Check out my reviews on Seeker and CalStar rods. Get to their sites and check their selections, as I have a limited showing here. I also like the Phenix Abyss, Black Diamond, and Axis rods. Hope this helps. Geoff. Thanks Geoff! Definitely helps. Looks like I’m in for a TAC16-2 spooled with 80 lb braid. Thanks again and happy fishing, wishing you a fantastic season! My pleasure Arthur. I think that’s a good choice. Did you end up choosing a rod for a jig stick? Geoff. Hello! So I’m thinking of purchasing a TAC12. I do a lot of snook fishing on the bridges in south florida and I have a great set up already in the Twin Power 8000 but I want something beefier. These reels look like they can serve that purpose since the drag power and the castability seems just right. I was wondering if there was a rod about 7-8′ long I can put on this reel. I will most likely spool it with 50# power pro. Thanks ! Hey Chris. Thanks for taking part in the discussion here on FishtFight. First off, let me say that the Trinidad is exceptional quality and a great choice. Matching it with rods, you have a few options. I’m assuming you want to stay high quality, since that’s where you’re going with the reel. If so, I highly recommend Phenix rods. Either the Black Diamond Series or the Axis has rods perfect in length (7-8 ft), power, and action to match the Trinidad. Those snook will get the wood put to them with Phenix for sure. You can get a more reasonable price range by going with Shimano’s Tallus Blue Water series or the Shimano Terez. The good thing about those models is that they have a braid ready design. But so does Phenix. I also recommend checking out CalStar and Seeker rods if you’re not seeing something you like. They are both top notch rod makers. Hope that helps and tight lines. Geoff. Thanks for the reply! The Trinidad looks solid but for about 100 dollars more I can pick up the talica… first world problems lol I do want a leverdrag 2 speed reel, the talica seems to have kind of hit te sweet spot as the all around reel, what do you think of the daiwa saltist? Hey Chris no problem. But do you want to sacrifice a bit on the casting with the TAC 2 speed? lol. I like the Saltist reels for the money, but I think you should look at the Saltiga. Many say they’re the best bang for the buck. Don’t forget to check out Truth and Avet as well. Lol. You’ll narrow it down. I personally like your first choice, Trinidad with a Phenix. Geoff. Bought a 16 2speed. Used twice only, now won’t engage properly, Have asked for a refund. 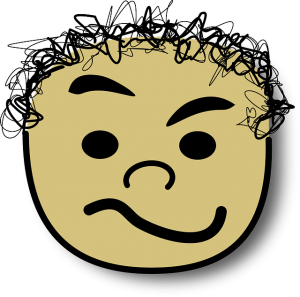 Not Happy. Hey Richard thanks for the feedback about the TAC 2 speed reel. After just 2 uses? That’s not right at all and what a bummer to get that defective model. Anglers love Talica reels and hail them as one of the best 2 speeds for the price. I did see another report from a Talica 2 speed owner that had a failing drag system. My personal feelings? I might give it one more try, but I wouldn’t blame you if you’re over it and ready for a new brand. Truth reels has some pretty nice models as does Avet and Accurate. It was actually an Accurate Boss Fury that recently reeled in a Bluefin off the California coast near 320 lbs. Crazy huh? Small reels on enormous fish. I do appreciate the feedback despite the fact that it’s not positive. It’s important for other anglers to be aware there’s a possibility of such an issue. Thanks, Geoff. i hope i get your help in time …….i am completely blind and ignorant when it comes to fishing, let alone the right equipment. you see, my best friend’s 60th bday is coming up in a week. she goes fishing quite a bit with her husband and friends. i would like to get her a nice bait cast fishing reel. she is a small person. 5’1″, may be 90 lbs. not sure it matters. her husband said she has a Shimano Talica right now. not sure which model but it is a bigger one and cost about $500. he said she could use something lighter. what would you recommend? she likes fishing. what other gear would go well with the new reel? i don’t have a budget. it is a big bday. $5-600 is good. Hi Bessy. Lets see if I can help in time here by giving you two great options. 1st one that came to mind is the Truth SG Baitcaster. I put the link so you can jump over to the full review. Their name has changed to Siegler. A second option is the Daiwa Saltiga. I’d go with the SALD30 to keep it on the smaller size. The Saltiga is a beefier reel at 17.9 ounces vs 13.2 in the Truth SG reel. Both reels are lever drag reels with exceptional frames and gearing, but the truth is a one speed reel. You can get the Saltiga with either 1 or 2 speeds in the lever drag option. The 2 speed lever drag Saltiga would be going all out on your part as far as expense is concerned. Hope that helps and didn’t get too confusing. I’d say Truth SG or Saltiga size 30. Geoff. One more thing Bessy. I’m guessing she has the Talica 12, in either 1 or two speeds. Either way its a bigger reel at 23.1 or 25.7 ounces (2 speed). Geoff. If i would buy a talica 20 2 Speed Do you think i can use this real for jigging/bottomfishing and with another rod for Trolling? Hey Moritz. You very well could use it for all those purposes, but it brings up an issue all offshore anglers face. Let’s say you’re using it to bottom fish and yellowtail or jack start boiling on the surface. It’s very unlikely you’ll be able to reel your line in, tie on a new setup, then cast out before those fish are gone. It’s good to have reels that are multi-purpose, but it’s more often on the ocean that you only have enough time to grab a whole different pre set rod and reel. I already have surface iron on another rod and reel when bottom fishing. I just switch them out as fast as possible when necessary. Hope that clears things up for you. Geoff. does someone know if there is different reel in the Internet, because there is a talica 2 Speed for ~450€ an them there is on other Pages a talica 25 2 Speed lever Drag Reel for ~600€ . Is that the Same Reel or different ? Hello again Moritz. I sent you an email but it’s being returned as a non valid address. It’s tough to answer your question without knowing where you’re seeing this information. I can tell you there are old Talicas (not the Talica II models) that are usually cheaper as Shimano no longer makes them. There’s also a bill fish Talica, which is silver in color and much higher in price than the range you’re talking about. So make sure you look close at what reel you’re getting. I’d visit the Shimano website to clear up any confusion. As for a jigging rod, I have several rod reviews onsite. Some of those reviews are expressly jigging rods (like the St. Croix & Okuma Cedros). Most series of rods I review have at least one model that works well for jigging. Of course, that also depends on whether you’re talking about surface jigs or vertical jigging. Geoff. Does go with a talica 20 2 Speed reel ? I gave those rods a look and they appear incredible for light rod/line applications that still hold forceful power. I would only ever buy one for an exact situation, and that’s what I don’t like about them. They aren’t versatile, plus you’ll always be on the search for that Momoi or similar braided line. There’s some decent reading about those rods on bloodydecks. Not sure if I’ll review those rods or not at this point. Geoff. Do you know a rod for jigging /bottom fishing ,wich go to the talica Reel ? I want to fish with a 80 lbs line und so 100-300 wg? Hey Moritz. I really like CalStar, Seeker, and Phenix Rods. Check the Phenix Black Diamond & Abyss. Hey Kevin. I’ll tell you my thoughts. 5 years back I would have said that the TAC 12 II is way too much for fishing yellowtail and tuna. It still is a bit much for most tail around SD. But with the size of tuna we’re consistently seeing now, I’d get it. You’ll end up undergunned eventually. Maybe invest in a separate setup for tail later, though it will still work. I like the Penn Fathom star drag for price and yellowtail. Feel free to respond. Geoff.